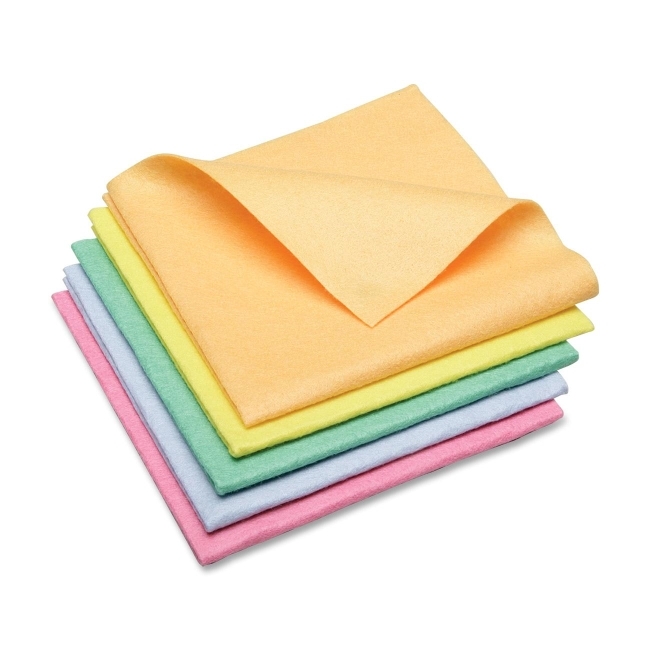 Full Size: 15" x 15"
Long-lasting, synthetic shammy cloth holds 10 times its weight in liquids and dries surfaces in half the time. Nonwoven, viscose rayon, fiber cloth will not ravel or fray. Highly absorbent towels easily clean liquids from all surface types. Shammy cloth is safe to use with bleach and cleaners. Nonabrasive cloth is designed for use on all surface types.